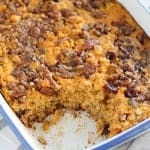 Baked Pumpkin Oatmeal – A simple recipe for baked oatmeal flavored with pumpkin and warm spices, and topped with brown sugar-cinnamon pecans. This is a fantastic make ahead breakfast – simply reheat portions as needed! Orange oatmeal! Yay or nay? It’s a little startling at first (what exactly is that? ), but once you taste it you’ll be hooked. 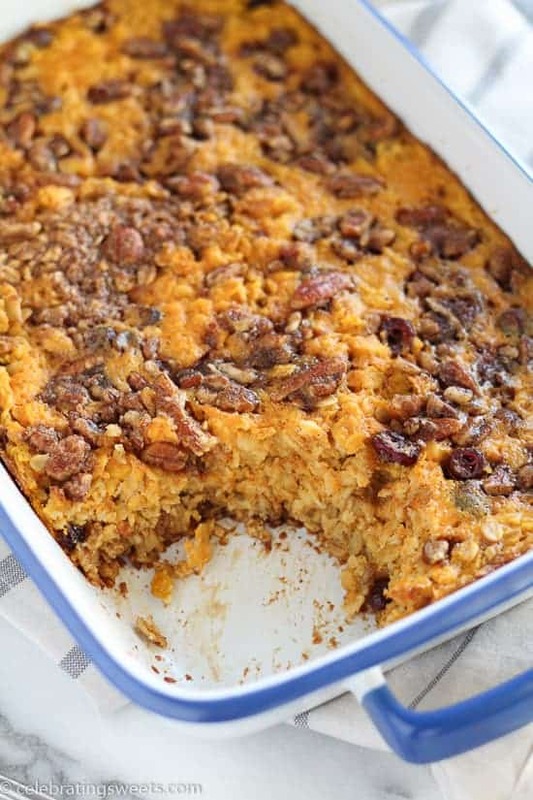 Pumpkin, oats, brown sugar, cinnamon, pecans, dried cranberries… What’s not to love? 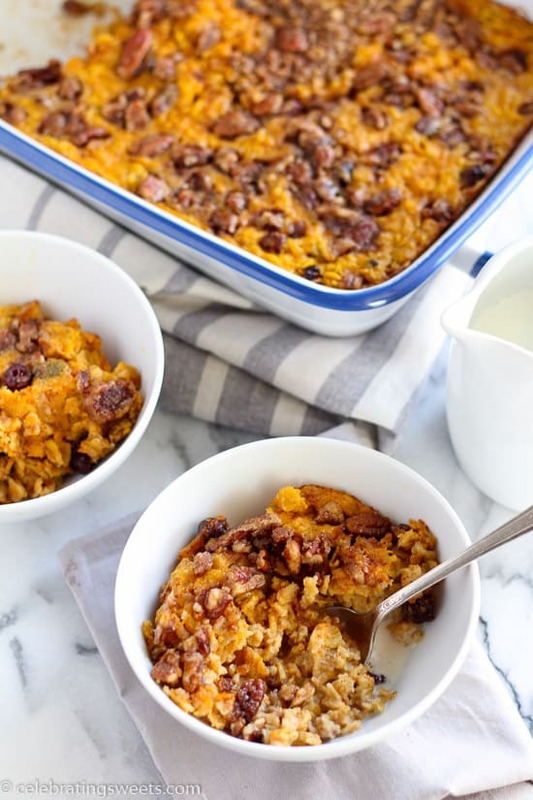 Baked oatmeal is one of my favorite breakfasts because it can be made in advance, and portions reheated as needed. It’s perfect for busy mornings. No standing over the stove stirring a pot of oatmeal. 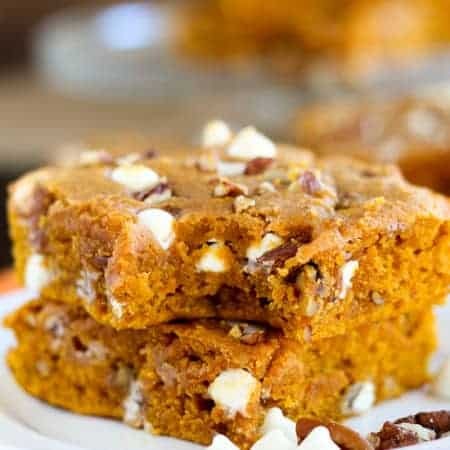 Simply combine the dry ingredients, combine the wet ingredients, place in a casserole dish, and bake. You can eat it fresh from the oven, or refrigerate it for later. This oatmeal is creamy with a pumpkin flavor and spices throughout. 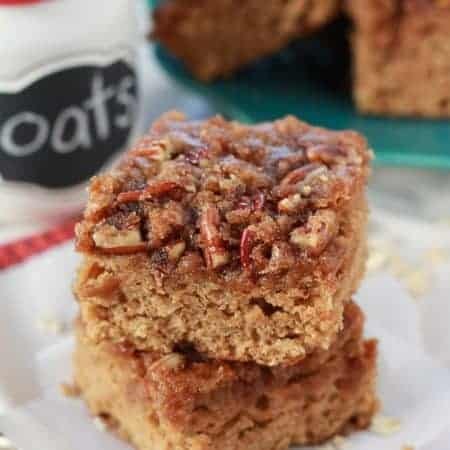 It’s studded with dried cranberries and topped with brown sugar-cinnamon pecans. It’s a big bowl of warm fall flavors! The perfect way to start the day. 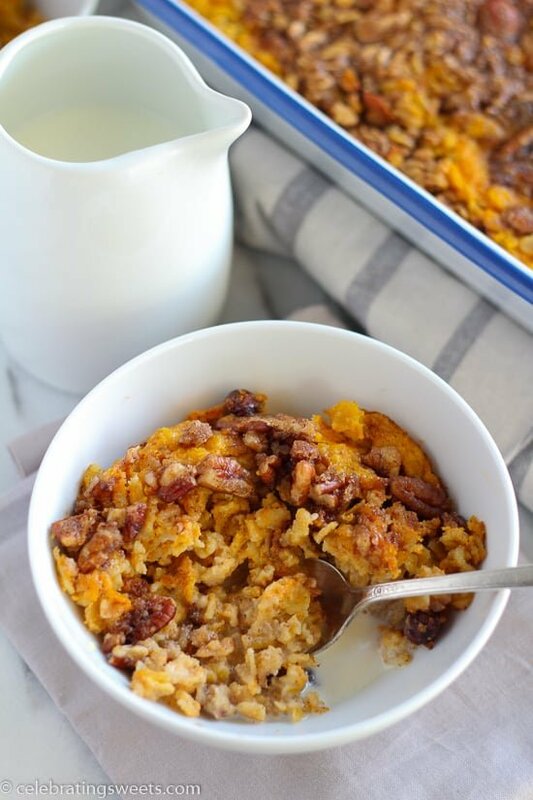 A simple recipe for baked oatmeal flavored with pumpkin, warm spices, and topped with brown sugar-cinnamon pecans. A fantastic make ahead meal; simply reheat portions as needed! Preheat oven to 350°F. Butter a 2 ½ quart baking dish. Combine all dry ingredients and place in the prepared baking dish. Whisk the wet ingredients and pour over the oat mixture. Gently shake the baking dish back and forth from side to side to allow the wet mixture to get down into the oats. In a separate bowl, combine all topping ingredients until the pecans are thoroughly coated in brown sugar. Scatter the topping mixture over the top of the oats. Bake uncovered for about 35-40 minutes, until oats are tender and the mixture is set. If the oatmeal firms up too much after chilling, just add a little milk or water to each portion before reheating to make it creamy again. I’ve been on a no sugar diet and have made other baked oatmeal items using mashed banana. 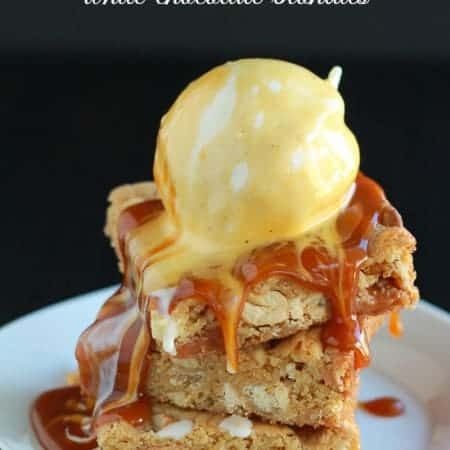 Wondering how this would be replacing the brown sugar with banana? Any thoughts? Hi, Lisa. Yes, that should work. If you can have pure maple syrup (since it’s unrefined sugar) that would be a great swap as well. I wouldn’t suggest using the banana as a substitute in the topping though. Maybe just skip the brown sugar in the topping completely? Enjoy!